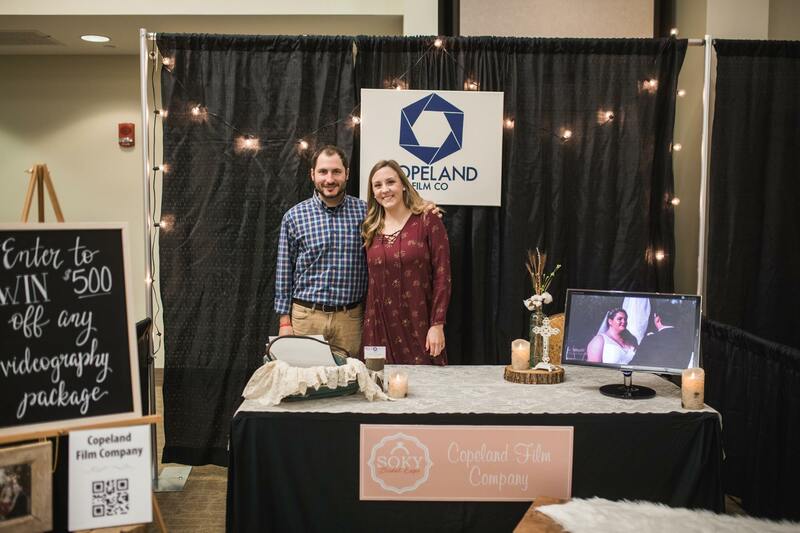 This past weekend, we were able to be a part of the 2018 Southern Kentucky Bridal Expo in Bowling Green. We had a fabulous experience and met many brides-to-be and wonderful vendors from around the area. This expo surpassed our expectations, as it was beautifully put together and ran so very smoothly. It took a lot of planning and preparation to make this expo a success. The event coordinators and vendors worked so hard to make the experience a great one. We were in awe of many vendor’s booths, as some had constructed elaborate displays replicating their venue. If you are a bride-to-be and need help with planning for your big day, attend a bridal expo! You will meet so many vendors – venue owners, photographers, videographers, cake decorators, caterers, planners, event rentals, make up artists, ring insurers, travel agents for your honeymoon, dress shop owners, florists and so many more! It can be overwhelming to try to find vendors for all of your wedding day needs. Attending an expo is a great place to start to gather information and meet potential vendors to see if they would be a good fit for you.